The Xbox One X is the most powerful games console in the world and if you're looking for a great Xbox One X deal then you've come to the right place. That's because we are constantly updating this best Xbox One X deals page, so WE WILL find you a great Xbox One X deal and YOU WILL praise us mightily. Here are a list of potential purchase destinations for the Xbox One X console on its own, as well as a selection of the best bundle deals for the system with games and accessories in both the UK and the United States. 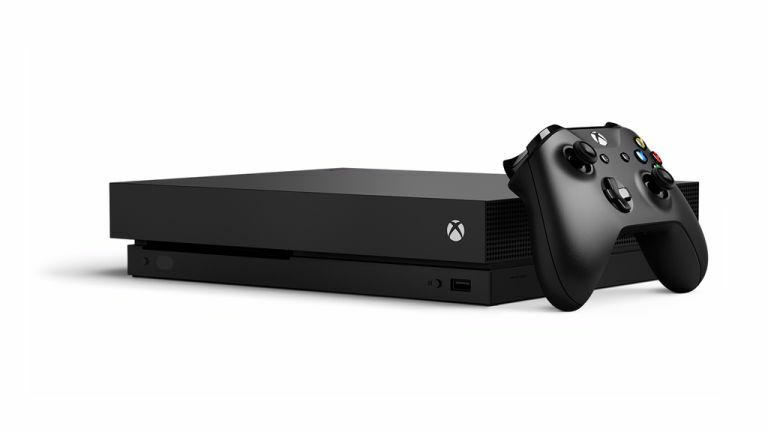 The pricing of the Xbox One X certainly places it at the premium end of the gaming market, ringing in for over a £100 more than Sony's pixel-pushing powerhouse, the PS4 Pro, as well as £220 more than Microsoft's own Xbox One S, which also comes packing a 4K Ultra-HD Blu-ray player. The Xbox One X, however, is the only console Microsoft makes that is capable of gaming at a 4K resolution. As with the PS4 Pro, the Xbox One X also enhances a selection of pre-existing titles, upping the display resolution and adding in graphical boons such as HDR support. Can you still get hold of an Xbox One X Project Scorpio Edition? While it's sold out at most online retailers, there are still a few places where a Xbox One X Project Scorpio Edition can be picked up. If you are in the US then Amazon currently has the system in stock, as does Newegg. The Scorpio edition, which is essentially this refresh's Day One edition, features a different gradient design on the console, as well as the "Project Scorpio" codename on both the console and controller. The box also features a giant X, which seems to be a nod back to the original Xbox. Aside from the design touches, the console is exactly the same as the stock Xbox One X internally, with the system capable of 6 teraflops of graphic power.